Plot: A career criminal refuses to give up in old age despite the law closing in. The Old Man & The Gun is an affectionate swansong for one of Hollywood’s greatest ever leading men, like looking at a frayed at the edges old photo album it is a piece of nostalgic warmth to savour. 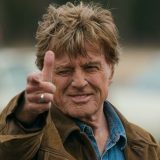 There aren’t many stars who have the longevity and the iconic status of Robert Redford. Over a career spanning close to 60 years Redford has done it all, including winning a Best Director Oscar for 1981’s Ordinary People. 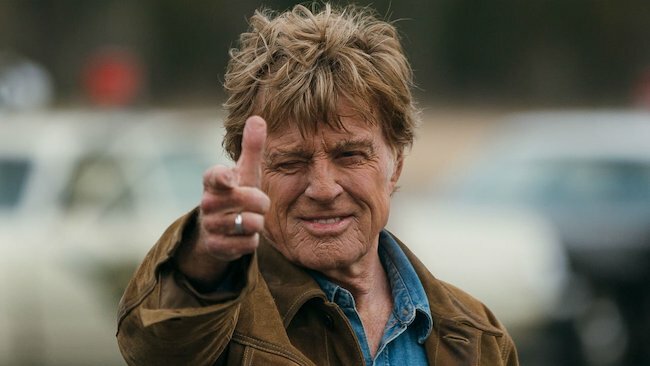 So The Old Man & The Gun, a film Redford has stated will be his last in front of the camera, is not only the end of a screen icon, it is a film perfectly befitting such an illustrious career. Forrest Tucker (Redford) is a career thief. In his twilight days he’s found a skill in robbing banks, with little more than a smile and a fake moustache. But as investigating officer John Hunt (Casey Affleck) begins to hone in on him, the old man is falling for Jewel (Sissy Spacek) who might be able to set him on the straight and narrow. The Old Man & The Gun is a simple story elegantly told. Writer director David Lowery adopts an ‘80s visual aesthetic, slow pans and slightly too fast zooms, to capture the essence of the era. And it’s smile-inducingly brilliant as a result. Loosely based on a true story, Lowery is more interested in putting his leading man front and centre rather than delving too much into narrative. The result is, like its protagonist, utterly charming. As Redford’s gang, lovingly named The Over The Hill Gang – including a wonderful who can be gruffer Danny Glover and Tom Waits – capture the hearts of America, not once firing a shot or harming anyone, it becomes clear that this isn’t about the money. Tucker isn’t a man on a mission to retire, he’s not on a mission at all, he just loves what he does. There is something reminiscent of Butch Cassidy & The Sundance Kid, yes the presence of Redford is key but there is also something in that film’s nonchalant attitude towards impending capture. Throw in a hint of Clint Eastwood’s A Perfect World, in the sense it captures not so much the thrill of the chase but the heart of the man running, and you have a film that is like an arm around the shoulder in a moment of happiness, it somehow elevates you beyond what you thought possible. In the lead role Redford is typically Redford. Graceful, warm and without the ability to be anything other than a magnetic force for characters and audience alike to gravitate towards. For much of the film he feels like a senior member of Ocean’s Eleven, a man with enough smarts to rob you blind but enough grace to have you forgive him the moment he’s done it.